PROOF of Major Conspiracy to Imprison Sollog! 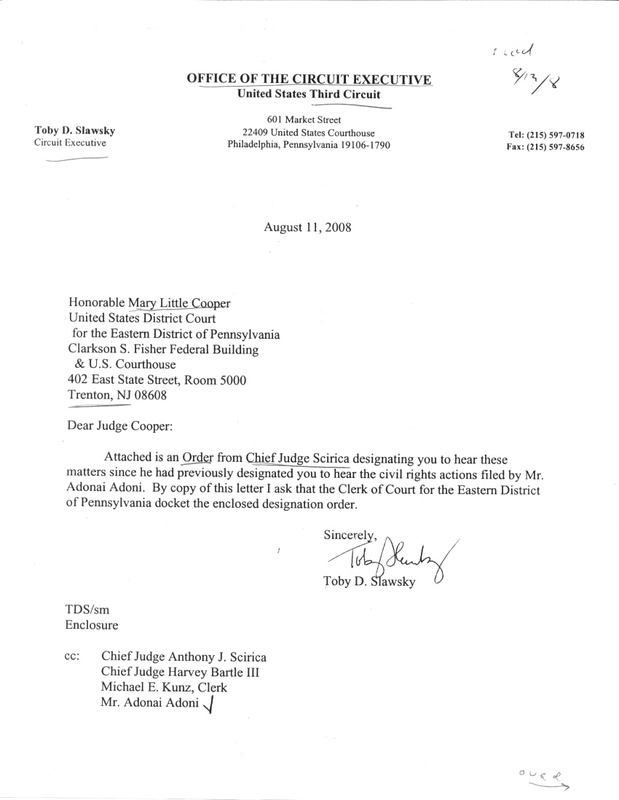 Here is a RECENT ORDER (page 1, page 2 ) signed by CHIEF JUDGE Anthony Scirica transferring the Sollog cases OUT OF PA! Note how Judge "Scirica" (one of the most powerful Judges in USA, below ONLY the Nine on U.S.S.C.) states the transfer is IN THE PUBLIC INTEREST! 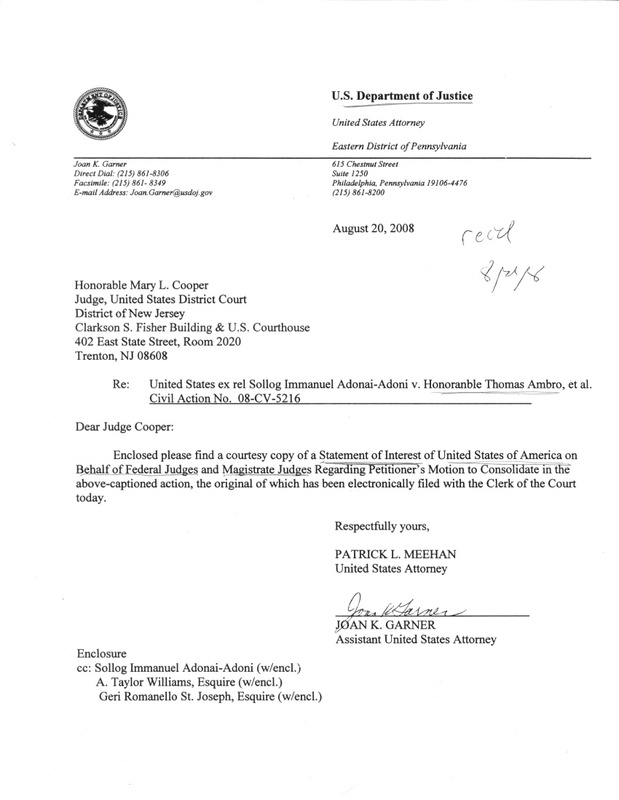 Here is a Cover Letter from CA3 to Judge Cooper about this UNUSUAL ORDER! 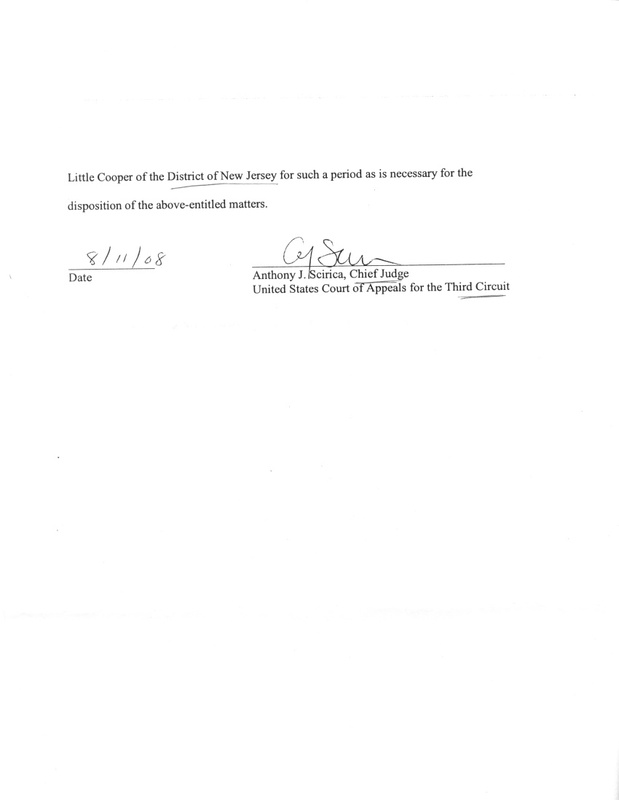 Here is the Cover Letter from USDOJ to Judge Cooper explaining how the USA has a "Special Interest" in Sollog! The Sollog case is a 20 year old TRAFFIC ACCIDENT! This is PROOF of a MAJOR CONSPIRACY to falsely imprison SOLLOG! Why does one of the most POWERFUL JUDGES make ORDERS in a 20 YEAR OLD TRAFFIC ACCIDENT, IN THE INTEREST OF THE PUBLIC! Why does the USDOJ appear and file RARE, "Special Interest NOTICES" in Sollog's case involving a 20 YEAR OLD TRAFFIC ACCIDENT! 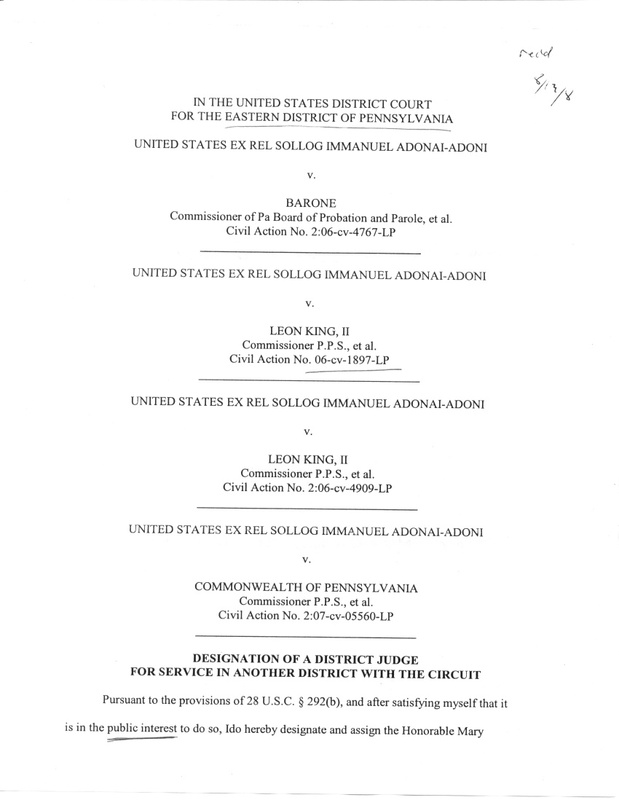 Sollog has proven in his copious Habeas Corpus actions that various US Judges have ILLEGALLY manipulated a 20 YEAR OLD CIVIL CASE, settled in 1988 as a TRAFFIC ACCIDENT, into a FALSE CRIMINAL CASE to ILLEGALLY INCARCERATE SOLLOG for almost 4 years! Sophia esti Phos kai Alethia! WISDOM is LIGHT and TRUTH!